Precariously balancing two surfaces, wall and floor, Portal is neither sconce nor floor lamp, and yet it is also curiously both. 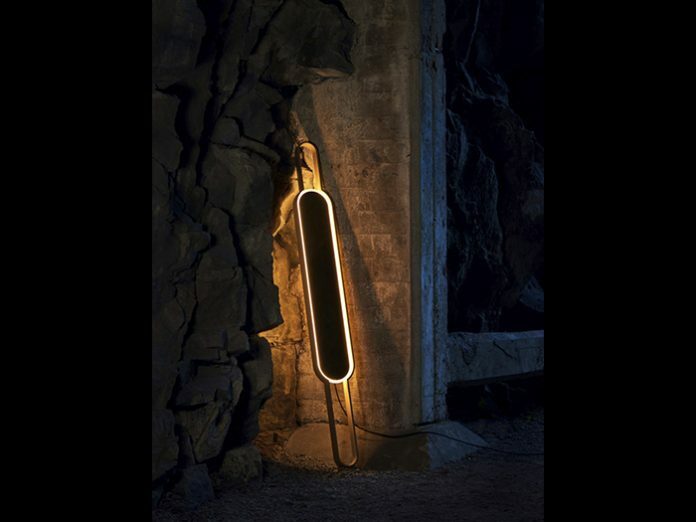 The elongated form and reflective, polished brass core nod to the mirror as a literary object of magic, a portal to other worlds. Each floor lamp is machined from a single block of solid aluminium, refined by artisans, anodised, and then assembled with a hand-polished brass mirror. Portal is a collaboration between Lake + Wells and Karice.